Please check the calendar on the Schedules page for exact dates and times for workshops. 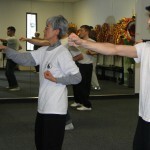 Push Hands/Joint Lock: Push hands is a two person practice in which your partner gets to check your overall Tai Chi fundamentals. 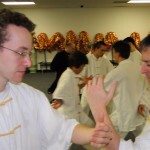 At first it is practiced slowly with emphasis on feeling and sensing your partner’s movement and energy. 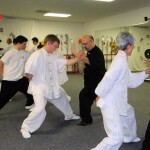 At higher levels of practice push hands allows you to learn how to apply the principles of Tai Chi for self-defense applications including joint locks. 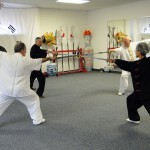 Tai Chi Sword: This class covers a basic Yang style Tai Chi straight sword form. 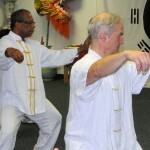 After learning the basic fundamentals of Tai Chi Chuan in the beginner classes it is recommended that you learn this form. 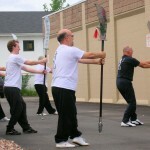 Sword practice helps you to expand your awareness of your own body and the space around you. 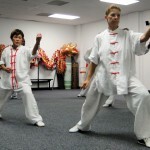 Tai Chi/ KungFu Fan: This workshop combines movements from both Tai Chi and Wushu. 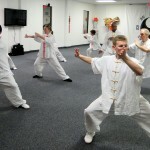 With its slow and flowing Tai Chi movements to its fast and powerful Wushu moves this form has become very popular. 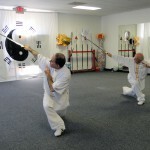 Chen Style Guan Dao: A favorite weapon of Chen Wangting (the founder of Chen Style Taijiquan). 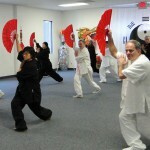 This traditional form is one of the oldest weapons forms from the Chen Style system. 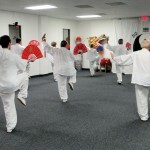 The movements are fluid with agile footwork jumps and powerful fajin. 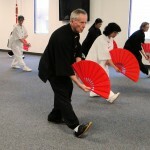 Needing a good foundation in the basics of stance, rooting, and waist control. This workshop is open for Intermediate and Advance students only. 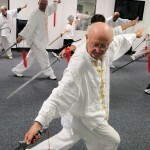 Chen Style Short Form: While being a very compact form Master Xing feels that this routine has many essential movements of Chen style Tai Chi Chuan. With both its slow and fast movements (including fajin) this is a very dynamic form. 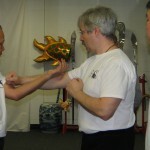 Wing Chun: This martial art is a style of Kungfu that originates from China and was later refined in Hong Kong. 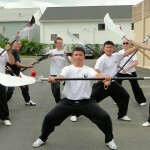 It emphasizes and utilizes the efficiency of body mechanics and eliminates the reliance of body size and strength. 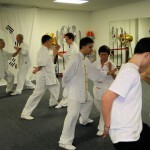 Students will learn quick punches and kicks with coordinated stances and footwork. It is suitable for everyone regardless of age, gender and physique.